After an intensive course in biology and chemistry he has integrated the Ecole Nationale Supérieure de Chimie (Graduate school in Chemistry) (Lille, France) where he was trained as a chemical engineer. He has also an MPhil in Pure and Applied Chemistry from Strathclyde’s University (Glasgow, United Kingdom). At the end of his school’s cycle he has joined the University of Lille for four years as an analytical engineer specialized in Medicinal Chemistry, substantially oriented to the neurodegenerative diseases. 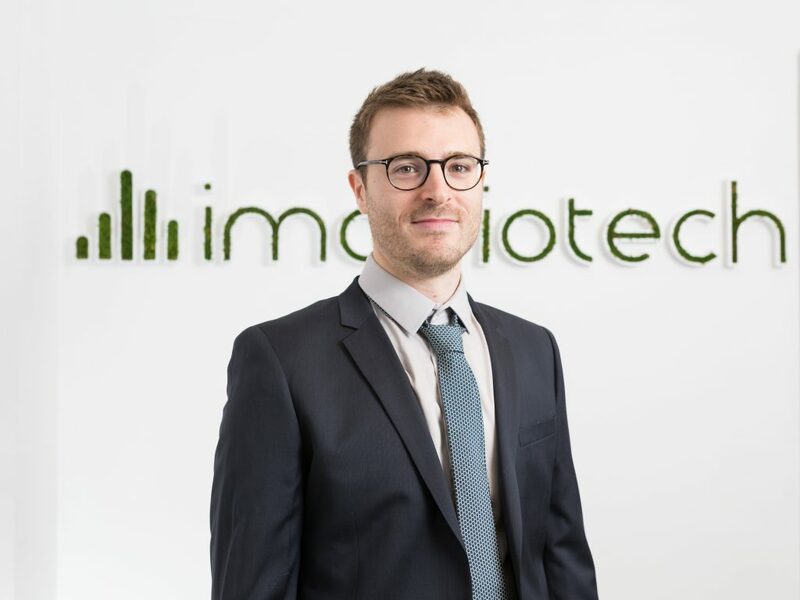 Then, Guillaume Hochart has joined ImaBiotech as a Bioanalytical Project Manager in 2012. With more than 50 participations to its credit, especially with preclinical and toxicology phases projects he has developed a real expertise in data analysis. Mr. Hochart is, now, Study Director who loves working with all kinds of business. I am fascinated by high tech with a “geek” touch. Attentive to details I love analytical analyses. My real concern is to understand every phenomenon: that really sharpens my curiosity!